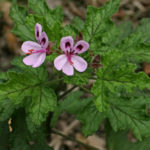 Pelargonium quercifolium (L. f.) L’Hér. 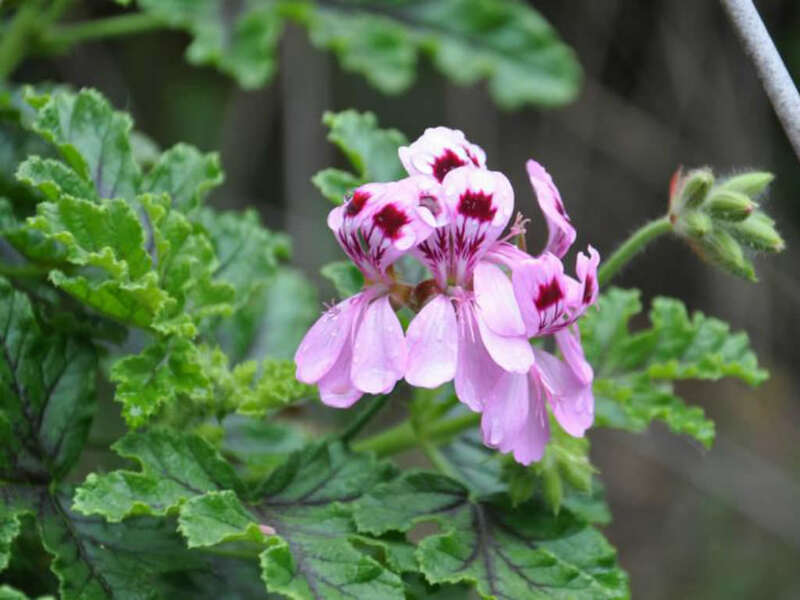 Pelargonium quercifolium is a densely branching shrub up to 3.3 feet (1 m) tall. The stems are soft and coated in green hairs when young and become woody with age. 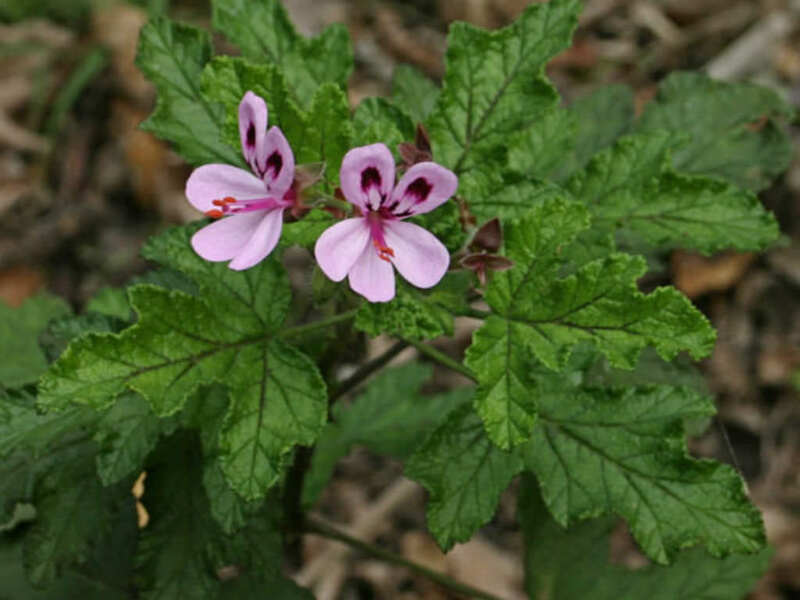 The glandular, sticky, aromatic leaves are divided into 5 or 7 stiff, coarsely toothed lobes. The inflorescence is an umbel of up to 10 flowers with 5 petals up to 1 inch (2.5 cm) long. The flowers are pink with darker pink markings. USDA hardiness zone 9a to 11b: from 25 °F (−3.9 °C) to 50 °F (+10 °C). Work organic compost into high-quality container potting soil that contains ingredients such as peat moss, vermiculite and perlite. 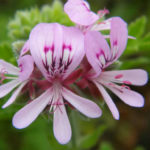 Use this soil mixture to fill pots for your Pelargoniums. Good drainage is essential, so choose containers with adequate drainage holes. If your plants are already in pots, spread organic compost lightly on the soil surface and work in, taking care not to dig up the plant’s roots. 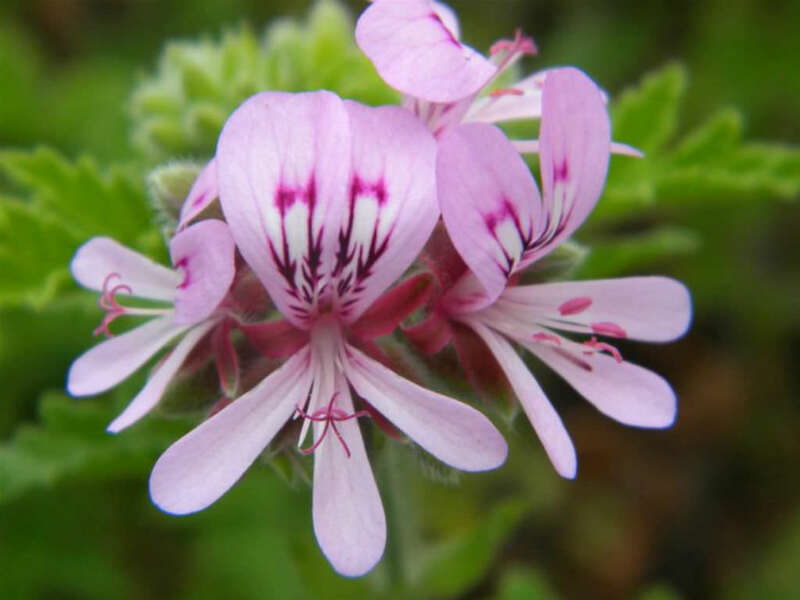 Choose locations getting direct sun for most Pelargoniums. They need at least 6 hours of sun daily. 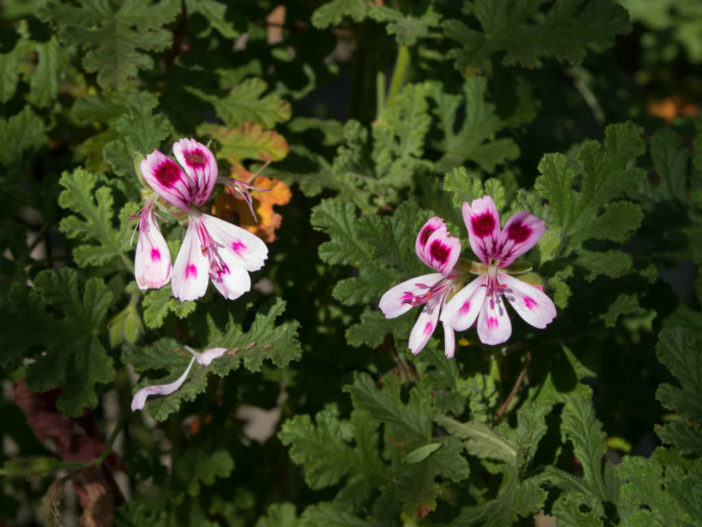 All Pelargoniums need afternoon shade if your area regularly sees summer temperatures exceeding 90 °F (32 °C). 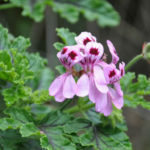 Pelargonium quercifolium is native to South Africa.